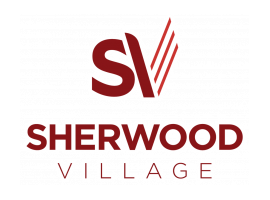 Sherwood Village is a great place to live!submitted by Kody W. - Nov 21, 2014 |Recommended: YesIt s a great, pet-friendly place to live! The staff is always nice and there are some pretty good amenities. Great location & apartmentsubmitted by Danielle N. - Nov 13, 2014 |Recommended: YesThis complex is great, from the moment I went in seeking an apartment the staff was extremely helpful and nice. I love the set up of the apartments and the location works great for my commute to work each day. Anytime I have a question or concern the management is quick to help and always very friendly. I haven t had any noise issues with neighbors, like I have had at other apartment complexes. The only complaint I have is the parking near my building, it is very limited. Overall this is a great place to live! I like them! Very nice.submitted by Tamicka M. - Jun 12, 2014 |Recommended: YesIt is very peaceful and communal. I love it heresubmitted by Cory D. - Mar 28, 2014 |Recommended: YesSherwood Village is a great place to live. I love my apartment, and the staff is very professional and friendly.